Walker Boone is an actor who voiced Mario in The Adventures of Super Mario Bros. 3 and the Super Mario World cartoons, replacing Lou Albano of The Super Mario Bros. Super Show! 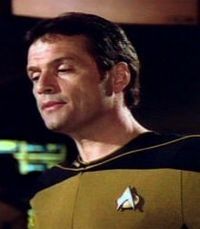 He also was a part of the Star Trek series for an extended period of time. This page was last edited on April 15, 2019, at 07:12.